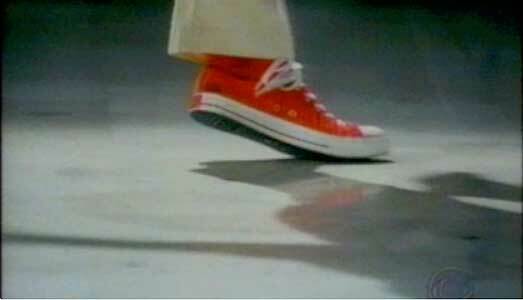 Cold Case - "Shuffle, Ball Change"
Nathan Halliday wears red high top Converse “Chuck Taylor” All Stars in the episode. Cold Case stars Kathryn Morris as Lilly Rush, the lone female detective in the Philadelphia homicide squad who finds her calling when she’s assigned to “cold cases” — crimes that have never been solved. When a skeleton is found in a dumpster, the team re-opens the 1984 case of Maurice Hall, a missing teenage high school student who wanted to become a professional dancer against his father’s wishes. 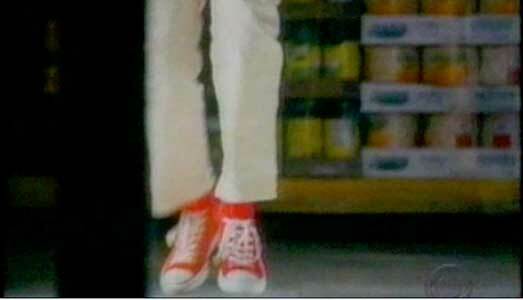 The sixteen-year-old, played by Nathan Halliday, always wore red high top chucks. There are a lot of great shots of him dancing in them. The episode title “Shuffle, Ball Change” refers to dance footwork in a routine. Maurice Hall’s dream was to become a professional ballet dancer. When the skeleton is identified as the body of Maurice Hall a dozen years later, Detective Lily Rush begins to contact all of the people who knew Maurice around the time that he disappeared. One of the first people they interviewed was Dr. Leroy, a prominent but very strict and demanding dance instructor in New York. 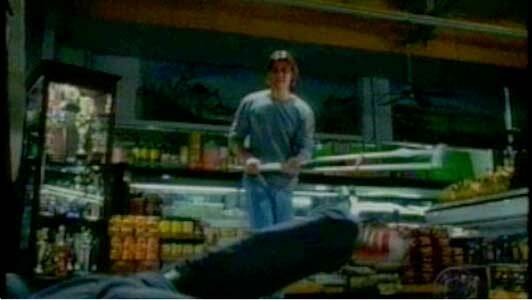 Maurice would often show off his moves to Dr. Leroy in his dad’s store. Maurice would show off a ballet moves in the store when his dad wasn’t looking. Maurice’s family had trouble dealing with his abilities and promise for success. The camera often focused on Maurice’s footwork. Maurice would often practice his moves wearing his red high top chucks. This epidode’s title “Shuffle, Ball Change” refers to dance footwork. Music is always an important facet of Cold Case episodes, often the main thing that you hear at the end of an episode, when the case has been solved. 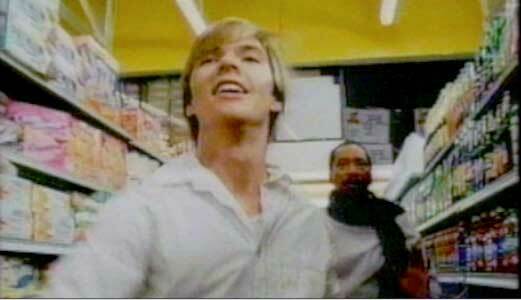 With this episode also revolving around dance sequences, there is quite a lot featured in “Shuffle, Ball Change.” Music featured in this episode includes Heat of the Moment by Asia, Behind the Mask by Luscious Redhead, Self Control by Laura Branigan, Through the Fire by Chaka Khan, I’m Free (Heaven Helps the Man) by Kenny Loggins, Ain’t Nobody by Rufus and Chaka Khan, and I Want to Know What Love Is by Foreigner. Maurice landing from a jump move. Maurice’s life came to a tragic and unneccesary end.